MONDAY, Sept. 24, 2018 (HealthDay News) — If Mom partakes of pot, her kids may be more likely to try it themselves at an earlier age. That’s the contention of a new study, though it doesn’t prove that one causes the other. Still, “early initiation is one of the strongest predictors of the likelihood of experiencing health consequences from marijuana use,” said lead investigator Natasha Sokol, who’s with Brown University’s School of Public Health Center for Alcohol and Addiction Studies, in Providence, R.I.
That’s why “in a shifting regulatory environment in which we expect adult marijuana use to become more normative, developing a deeper and more nuanced understanding of social risk factors for early initiation” is essential, Sokol explained. For the study, the researchers analyzed data on 4,440 children and 2,586 mothers. More specifically, they assessed how a mother’s habit influenced the age at which her children started using the drug. They also considered the children’s behavior, mental abilities, social environment and family income. The researchers also found the kids whose mothers used the drug were more likely to try it themselves at a median age of 16. In comparison, the children of women who didn’t use marijuana began using the drug at the age of 18. The researchers noted this link was more notable among white children. That’s not to say there aren’t benefits associated with marijuana use, Sokol noted. “Cannabis has recognized therapeutic benefits for treating a number of different medical conditions. 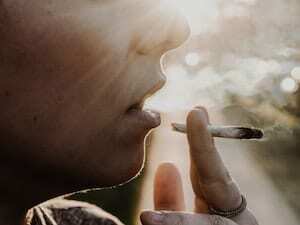 There is also evidence that the availability of legal medical and recreational cannabis may reduce population opioid overdose deaths,” Sokol said in a journal news release. “For these reasons, total cannabis prohibition may not be consistent with public health objectives,” she said. Instead, delaying initiation might be the best approach.